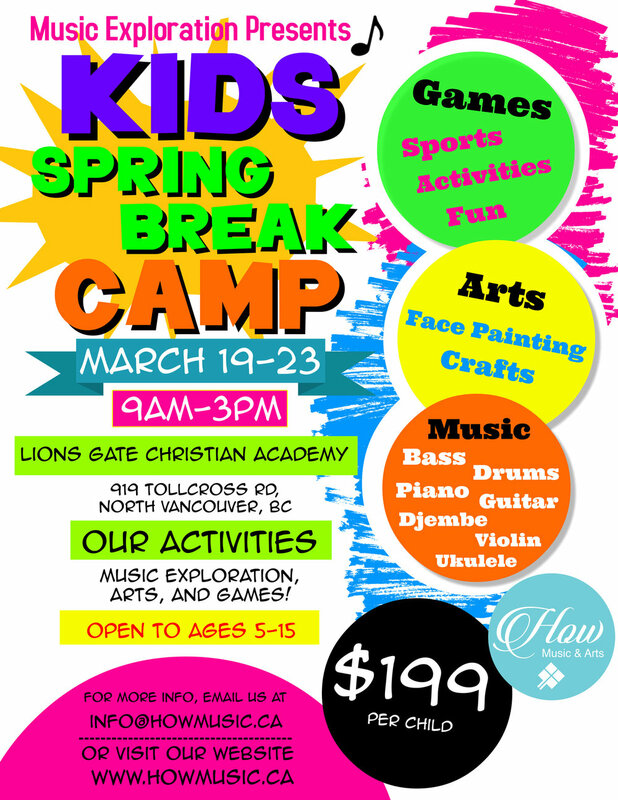 Our Spring Break and Summer camps welcome children from all backgrounds and age groups. The registration of each camp is for a full week, however we also have partial registrations available upon request. For those needing income assistance, we have a subsidy program available. For more information, please contact us at info@howmusic.ca, or use the registration form below.